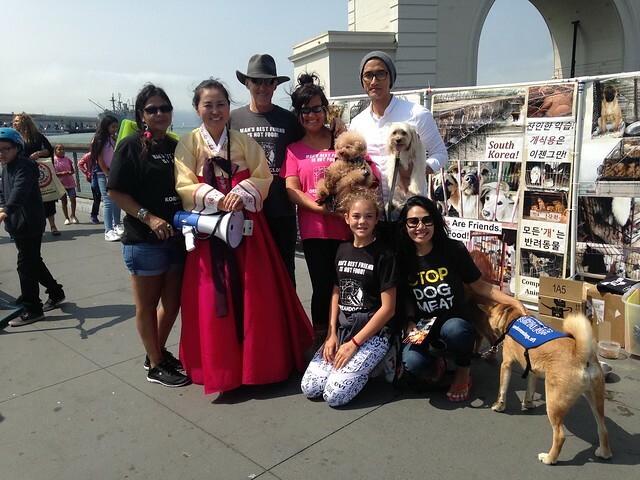 We will be displaying our banners and posters, and will be handing out leaflets and collecting petition signatures against the extremely cruel South Korean dog meat trade at the Fisherman’s Wharf, the famous San Francisco tourist attraction and landmark. We will need the help of volunteers to hand out our leaflets and to talk to as many of the visitors as possible, to make them aware of our campaign to help the South Korean dogs and cats. Can you help? Click to see the photos from our previous event on August 18, 2018! Free T-shirts and cold drinks are provided to volunteers at this event. Location: San Francisco, Fisherman’s Wharf located near the corner of Jefferson and Powell streets along the chain link fence. Date/Time: June 1, 2019 Saturday. 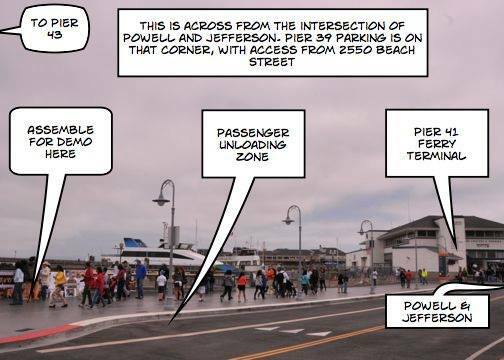 9:30am – 5pm. RSVP on Facebook or send us a message if you will be coming. Thank you!